B O O T L E A D: The demon always is red. The demon always is red. In October 1991, China’s paramount leader, Deng Xiaoping, went to watch the test flight of the Jian-9 fighter in Sichuan. After watching the fighter’s takeoff, Deng said that the recent changes in Eastern Europe were due to economic problems. “The key was that the [Soviet] economy had long been in bad shape….” On its side, said Deng, China had solved its economic problem. 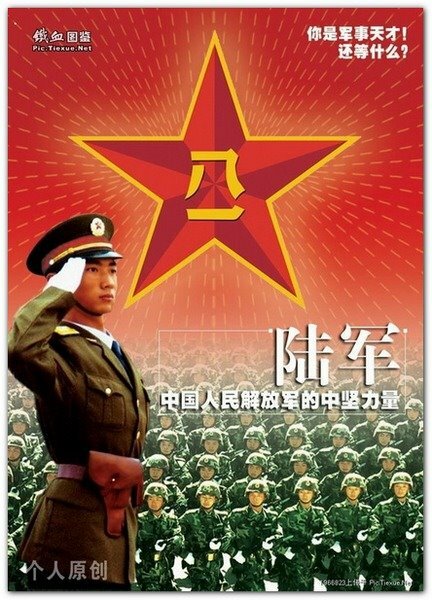 The People’s Republic was growing, and so was its capacity for building advanced weapons. Soon China would be able to build a powerful air force. During the 1980s Chinese leaders often revealed the strategy behind their country’s economic opening to the West. In statement after statement, the Chinese Communists affirmed that they were taking a page out of Lenin’s playbook. In the early 1920s Lenin initiated the Soviet Union’s New Economic Policy (NEP), opening Russia to capitalist investment. As one might expect, the Soviet economy prospered during the NEP period and Russia was able to lay the foundations of its military industry. Due to its proven track record, something akin to Lenin’s NEP has been adopted by China. The Chinese leaders assured the Communist Party elite that this policy was ideologically “correct.” Learning from capitalism and drawing foreign capital to China would be the basis for China’s future military superiority. And why should China build such a fleet? The outline of China’s military strategy is clear. The Chinese are building a large navy with many merchant ships because they want to control the Pacific Ocean and transport millions of colonists to a depopulated North American shore. The biological weapons for “cleaning up” America have already been built. The destruction of America’s early warning system and the decapitation of the U.S. government can be achieved through “terrorist” strikes (i.e., by special forces commandos). There is also an economic dimension to the attack plan. First, do everything possible to hasten America’s financial collapse. (To this end the Americans have made their own special contribution). Second, the bankruptcy of the U.S. government naturally brings about the spontaneous strategic disarmament of the American military; third, use the Arab terrorist threat as a diversion so that the Americans will react against the wrong countries when they are attacked with biological weapons; and fourth, finish off the Americans when they are defenseless and disoriented. Once China has vaccinated its own soldiers the biological assault can begin. The plan has many risks, and the average American would readily dismiss such a plan as madness. But we all should be reminded of the madness of Hitler, who attempted to exterminate the Jews in Europe. It is hard to believe that someone would exterminate people who were quite harmless. However, that is exactly what happened. The Nazis built their edifice on the myth of Jewish malevolence. This served as their justification. The Nazis merely projected their own malevolence onto their intended victims. Today the agents of Communism have constructed their justification for the extermination of America. The Russians and Chinese, together with their allies in the Third World, have carefully laid out their case. We have all heard the anti-American propaganda. It is everywhere. According to this propaganda the Americans are imperialist aggressors. The Americans are murdering millions of people. The Americans are stealing the world’s resources. The Americans are the cause of global warming. The planet itself is doomed unless the Americans are eradicated. Here we find a variation on Hitler’s theme. Instead of blaming the Jews, it blames the Americans (and their Zionist allies). Instead of gas chambers and ovens the perpetrators will use nuclear and biological weapons. Instead of looting a minority community in the midst of Europe, an entire continent will be looted. The plan of war aims at plunder in the form of empty buildings, infrastructure, machines and real estate. With that plunder comes global dominance. I end this column with one last thought supplied by the Wall Street Journal on March 7. In a column titled “China’s Military Mystique” we read of China’s “rapidly increasing defense budget.” The Bush administration wants an explanation. Why is China building so many ships and guns and planes? Everyone assumes that China is building up to attack Taiwan. “But China’s military advances are no longer just about attacking Taiwan,” says the Journal. Having tantalized us with an intriguing tidbit of geopolitical algebra the Journal trails off in the direction of China’s anti-satellite weaponry. The American mind has yet to wrap itself around the concept of a genocidal WMD assault. We watch as the Chinese prepare to slaughter us. We blink and avert our gaze.